The chassis is the vehicle’s main frame. All the power parts of the vehicle, including the engine, axle, gearbox, differential, etc., and the suspension system are mounted on the chassis. The role of the chassis is to support, install the car engine and its components, assembly, the formation of the overall shape of the car, and accept the engine power, so that the car movement, to ensure normal driving. At the same time, a good chassis, can guarantee the safety of the driver’s life. 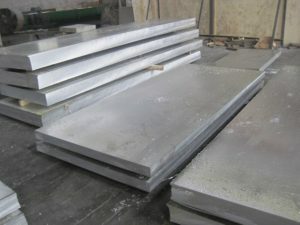 6061 aluminum sheet is one of the aluminum sheet products of haomei Aluminum, haomei Aluminum independent research and development of the “1 +1” hot rolling production line, is specifically for the 6061 aluminum sheet, 2 series, 7 series, 5 series of aluminum and other high-end product development of the production line. haomei Aluminum 6061 thick aluminum, with its excellent quenching performance, superior corrosion resistance and other advantages, in the car compartment, aerospace, ship and other fields have a wide range of applications.